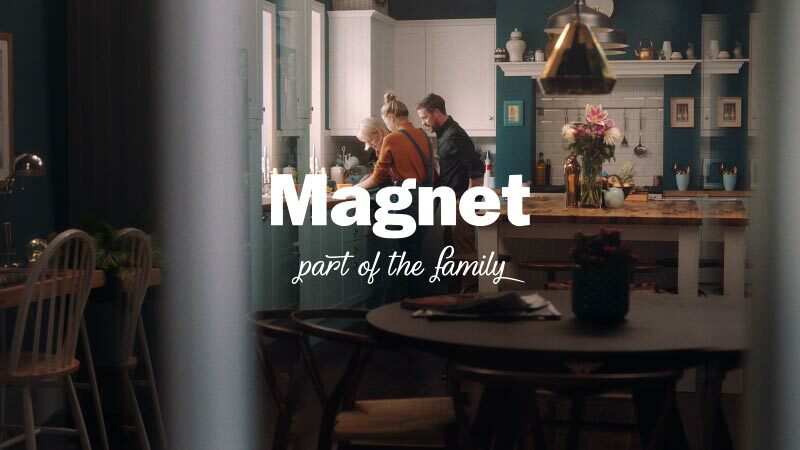 Magnet, one of the UK’s largest specialist kitchen retailers, believes that the kitchen is the heart of the home, and this is reflected in their latest television advertising campaign. The new campaign called for an emotional narrative that would portray the kitchen as part of the family—the place where so many treasured moments take place. Working closely with Magnet’s advertising agency, Cheetham Bell JWT, Production Company Nice Shirts, and Director Liz Murphy, dock10 was supplied with the edit that tells the story of a family from the point of view of their kitchen as it witnesses a series of memorable moments. The brief called for the kitchen to be firmly at the centre of the story, so the post production team used a number of techniques to keep the focus of attention on the product. At the same time, they worked to increase the warm family feel of the piece, enhancing the emotional connection between the product, narrative and audience. Within dock10’s Baselight grading suite, colourist Jamie Parry enriched the film’s colour and graded it to highlight the kitchen in each scene, creating a beautifully rich look across contrasting times of day. Domestic and natural light, both blue moonlight and bright sunlight, were enhanced to draw focus onto the kitchen, leaving peripheral elements shaded. The online edit, by Flame artist Chris Winters, was completed in dock10’s purpose built suite that further contributed to a seamless versioning process. Paul Harrison’s sound design, created within dock10’s Pro Tools audio suite, not only supported the narrative but also added atmosphere. Mixing a heart-warming music track with subtle sound effects and characters’ voices produced a suitably warm soundscape that, together with the rich visuals, worked to trigger the required emotional response from the audience.